In the spirit of complete honesty, I was hesitant to pick up The Girl with the Red Balloon. Though I've always had an insatiable curiosity about World War II and German history, I feel lukewarm towards time travel. Something, though, kept pulling me back to this book. I was intrigued, but also worried it would be a disappointment. When I caught it on sale, I threw caution to the wind and bought it. Best choice I've made in a long time. 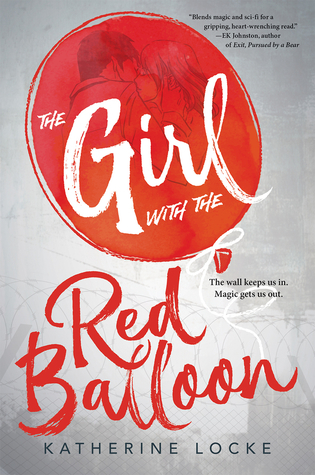 The Girl with the Red Balloon is easily the best book I've read this year. It's a darker venture into YA that definitely pays off. This was a beautifully written fictionalized piece of Berlin history. Skipping over how beautifully this was written and the interesting story line (because there are plenty of reviews that can talk about that stuff better than I can), this book made me feel things. That ending! My heart can't handle that kind of ending without a few tears. I want more. Like, I need more. Please. I'm both glad to see that there's going to be a sequel, but also a bit sad as it's not a continuation of Ellie's story. If it's half as good as The Girl with the Red Balloon, though, it's going to be amazing. I can't wait.